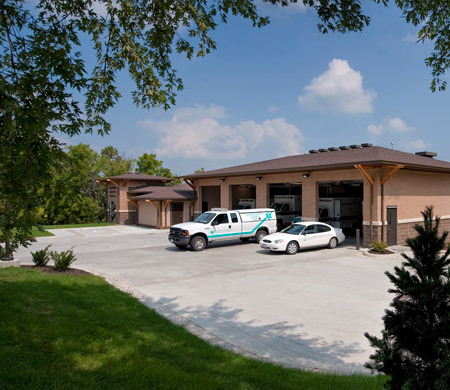 As a public service facility, the Johnson County Fire Station #81 will be in continuous daily operation year-round to serve the surrounding neighborhood and the greater southern portion of Johnson County. As such, the project is seen as part of the neighborhood, and will be designed to be harmonious and appropriate in appearance with the existing character of the surrounding neighborhood to ensure it blends naturally with the current area. 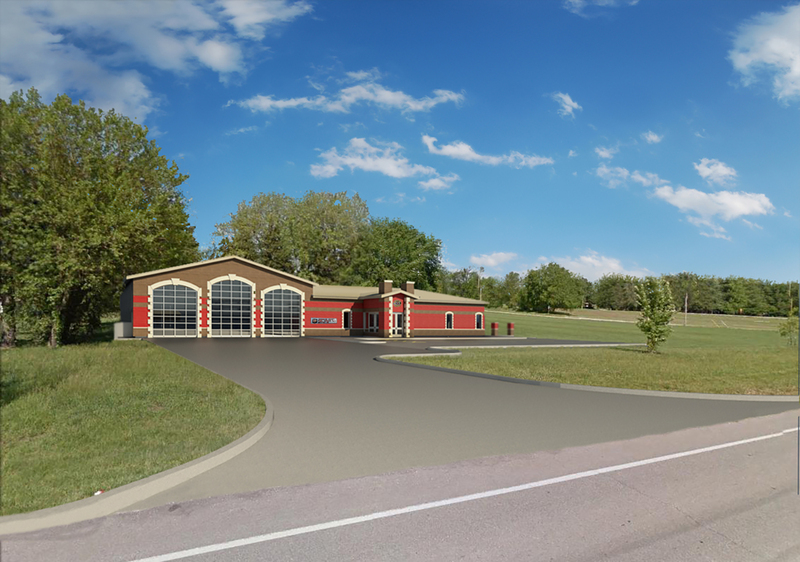 The Johnson County Fire Station #81 is scheduled to be completed in Spring of 2016. 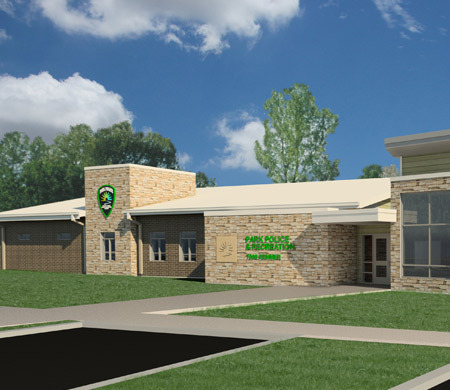 Items such as brick veneer, gable roofs and stone accents are some of the design components integrated to ensure compatibility with the surrounding neighborhood. 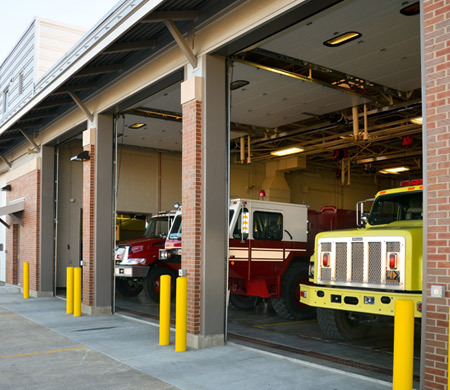 Large glass overhead garage doors can be viewed from the public ‘front’ of the building. This aids in the democratic idea of creating transparency for public service entities and the facilities they occupy.